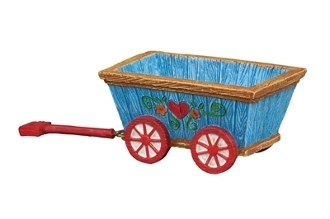 Full Description: This sweet little wagon is the perfect addition to any mini garden. Use it to carry mini veggies or even a small plant! Made of resin and metal. Features all-weather paint and hand-painted details.